Welcome to the Crafternoon Treats Bagalong. This started originally as a one month event in June 2015 but it got extended! Its now a permanent fixture of my life, my blog and the focus of a Facebook group – Bagalong with Crafternoon Treats. If you want to come and join the group just click on the link to the Bagalong on FB and ask to join – depending on the time of day you will get approved by me or one of the other admins pretty quickly. If you are in a different time zone remember I may be asleep… Will approve you in as soon as I can. 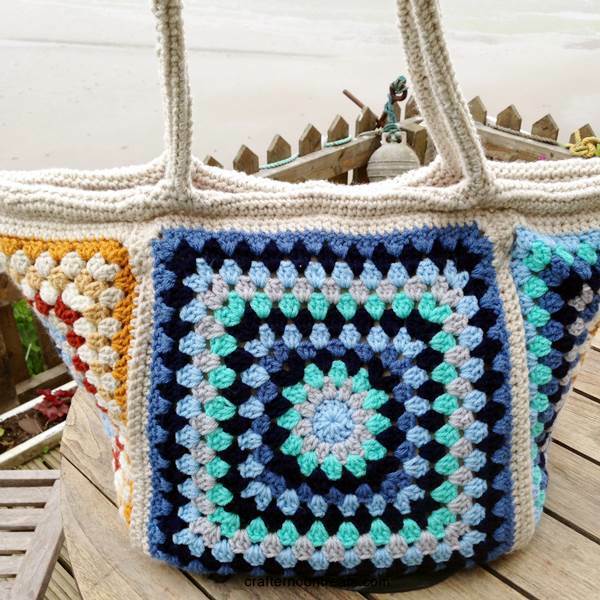 This page is now a portal to access the patterns on my blog that are used in the Bagalong. I’m in the process of rejigging the pages and menus so bear with me in October 2015 if things don’t flow as smoothly as they could. All will improve! An easy way to line a small project bag - simply line the individual squares before you assemble the bag! Large and scary but colourful monster stripy stash basket that holds masses of yarn stash! Thank you for the lovely ideas and patterns. I have shared these with a small group of new crocheters who have made a wonderful job of making the bag, but these little touches will help fill them with inspiration. Thank you again. Love your site. have downloaded one of your patterns and ordered some yarn from Deramores using your link. Thank you. everything is so pretty, i can”t wait to get started! Thank you for the free pattern. I’ll make one for my brother’s wife first, he is a cancer survivor, she takes care of him, he’s not able to work just yet. This is a lovely pattern. Thank you for sharing. I was thinking that I need something bigger for a large project. In my mind I see it more rectangular with two grannies each on opposite sides (and the bottom) and the ends having just one granny each. I’m trying to figure out a placement for the handles that would work and keep everything together. what do you think? Should I keep the handles the same size but still centered or spread them out a bit more?